GLP 1127 New mwezi moja 85 - 90 8 An improvement of GLP 1004 on yield and disease tolerance Relatively widely adaptable than GLP 1004 The colours are similar to those of GLP 1004. Wairimu dwarf 70 6 An extra early bean type that performs well in most ecological zones but suited to medium to dry areas. It has excellent eating quality Good for intercropping. SB 19 200 -1200 110 -120 High oil content High podding abilty. KENYA MAVUNO MAC64 90 - 120 15 to 20 bags Dark red mottled Depth of 3-5 cm and covered well with soil. 1. ALTITUDE Planted from 1100m up to about 2300m above sea level in areas with warm climate. Ideal production altitude is 1200m to 1900m though some varieties still do well in regions beyond this range. 2. RAINFALL Suitable in areas with annual rainfall ranging from 800mm to 2000mm. 3. SOIL TYPE Grows in a wide range of soil types which are well drained with PH range of 6.0 to 7.0. the crop requires fertile soil with adequate moisture hence inputs such as manure and fertilizer give better yields. 4. FERTILIZER APPLICATION Done two weeks before planting. Apply organic fertilizer 3-5 tones/acre of well decomposed farm yard manure. 5. COMPOUND FERTILIZER Use DAP in soil with high PH and NPK in soils with low PH. Apply at a rate of 75kg/acre during planting and top dressing with CAN or urea before flowering. 6. WEED CONTROL First application is done two weeks after planting and the second one is done just after flowering. 7. SUPPORT The crop must be supported immediately after germination and before the tendrils start to form. Use of either props or posts/wires can be used to support the crop. The plant height is 2-3 meters. 8. 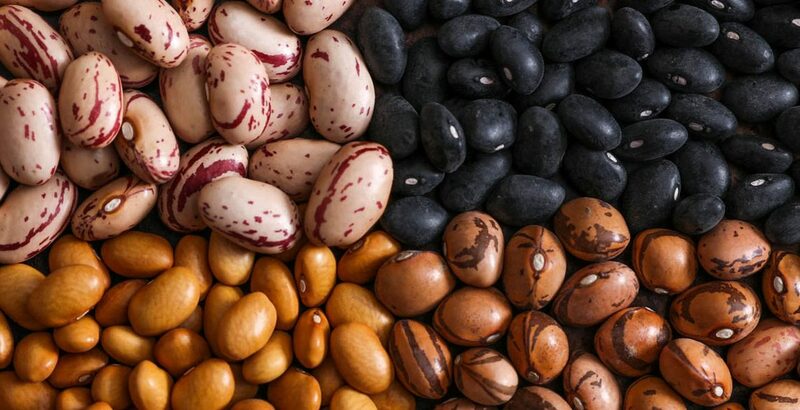 NUTRITION INFORMATION Beans are an excellent source of protein, dietary fiber and a very rich source of minerals especially iron, zinc, calcium and phosphorous. Beans have no cholesterol and very low in fats and sugar.